Me looking up at the summit of the Aiguille de Saussure from our bivvy spot. 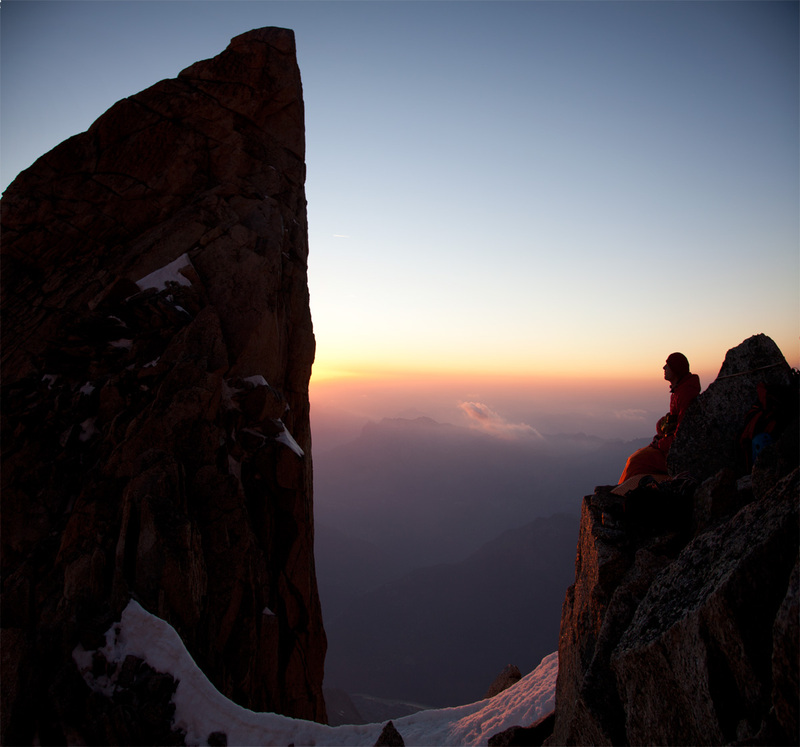 This is why alpine climbing is so special. It all started with a screech of tyres, RnB pumping out of a stereo, and an exhaust so loud that any nearby seracs were falling like apples from a tree. 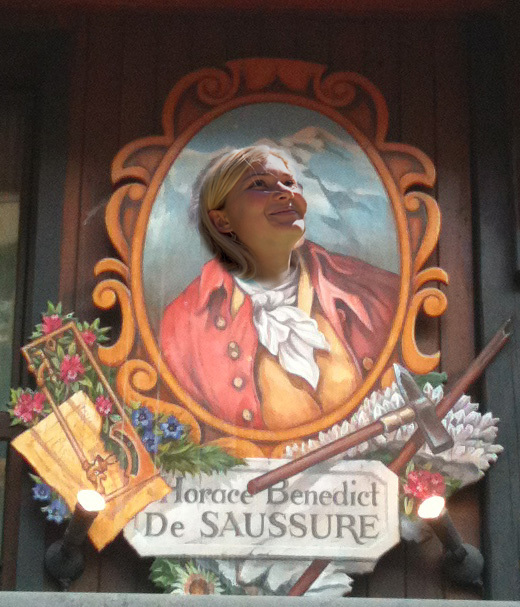 Quite how her car made it all the way to Chamonix I will never understand, but right on queue, Hazel Findlay landed in town, with a thirst for adventure and a hot-wired Citroen Saxo. The Findlay-Geldard Route. 600m. Maximum difficulties encountered: E5 Rock, Scottish VI,6 Mixed. The Aiguille de Saussure is a rock spire above the Glacier des Bossons, on the side of Mont Blanc du Tacul. A triangle of perfect granite, it is easily visible from Les Houches, and piques the interest of many climbers’ eyes. According to my research, it didn’t have a route up its beautiful orange front face. The original route follows a spiral of weakness, following large cracks and chimneys, and the only other route I could find out about involves some aid climbing and finishes up the original line. What a cool place to do some new trad climbing! The upper headwall of the spike itself is quite small, perhaps 200 – 250m in height, but the access is tricky. 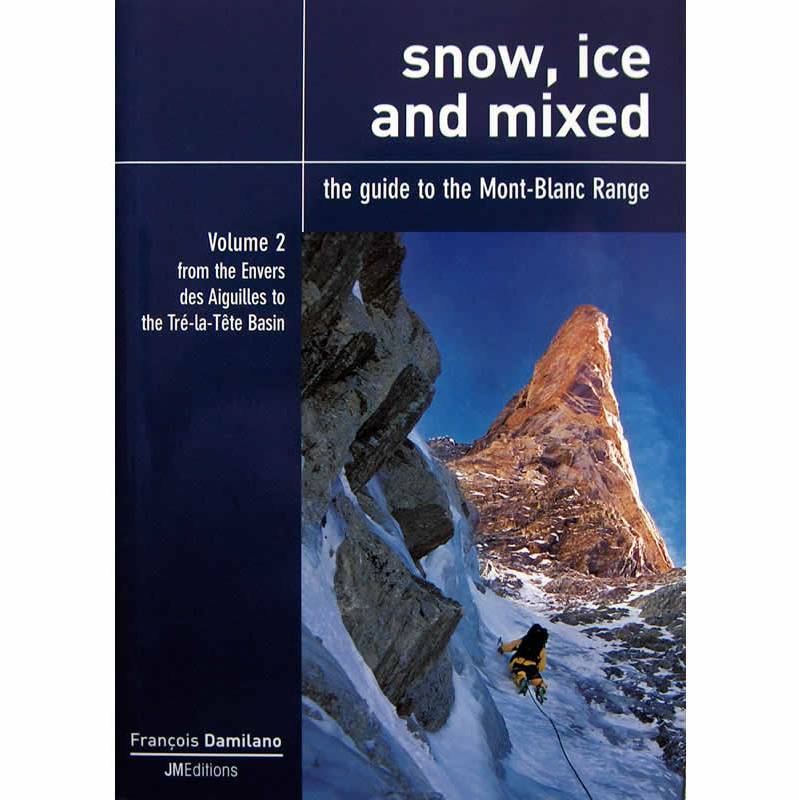 In wintery conditions it is possible to abseil to a point way below the spike from Mont Blanc du Tacul, which is the normal access for the famous but rarely climbed Afanasieff-Bodin Gully, a front cover route adorning the Snow, Ice and Mixed guidebook. The Snow, Ice and Mixed guidebook, clearly showing the ice gully, and of course the rock spire on the right. Nice! This is the approach Hazel and I first checked out, but unfortunately it was under constant stonefall, and the gully was dry in its lower half (we were kind of expecting this). 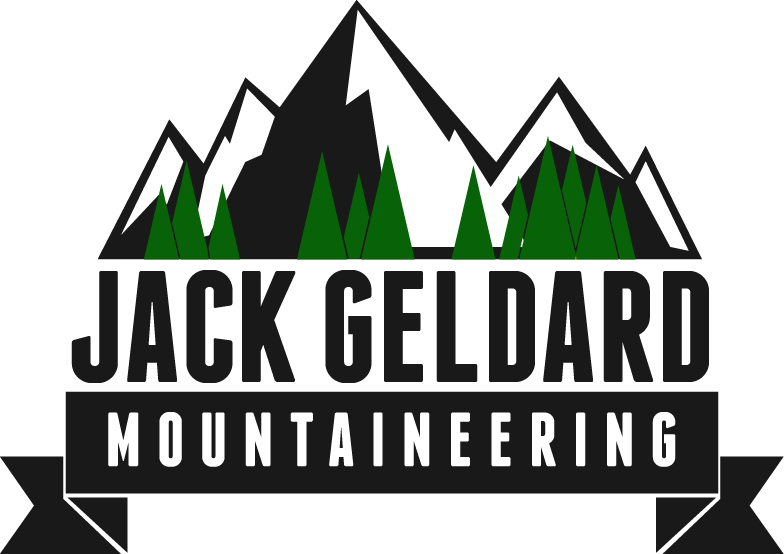 Our plan changed, and we climbed the side of Mont Blanc du Tacul and abseiled in from the very top of the gully to reach the breche between the mountain and the Aiguille de Saussure. From there we abseiled down the rock spike itself to reach the ledge system below the headwall. Game on. 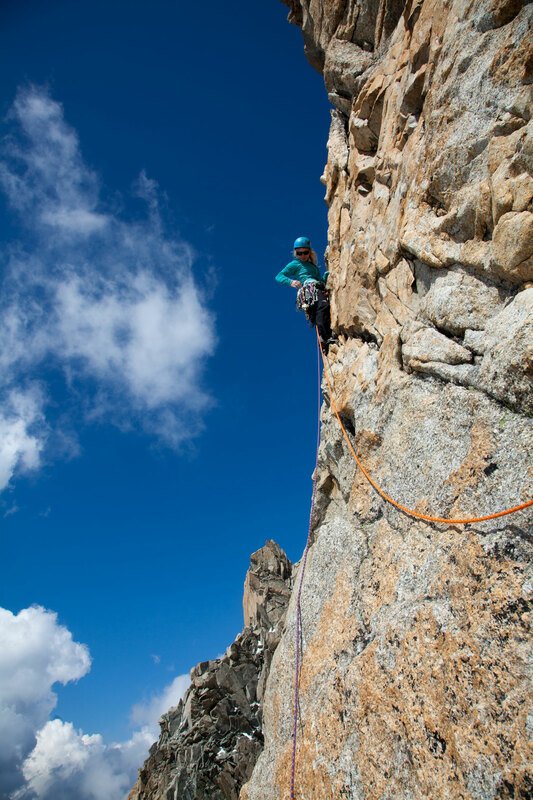 Hazel ‘Alpine Tiger’ Findlay on a pitch of E5 on the front face of the Aiguille de Saussure, Mont Blanc du Tacul. Myself on a perfect hand crack pitch. Lovely granite hey! Once on top, a short abseil lands you in the breche, which gives reasonably comfortable options for bivvy sites. It was essential for us to bivvy here, as the gully was in a dangerous condition anytime after noon, so we bedded down until 5am to get the upper ice at least semi-frozen. 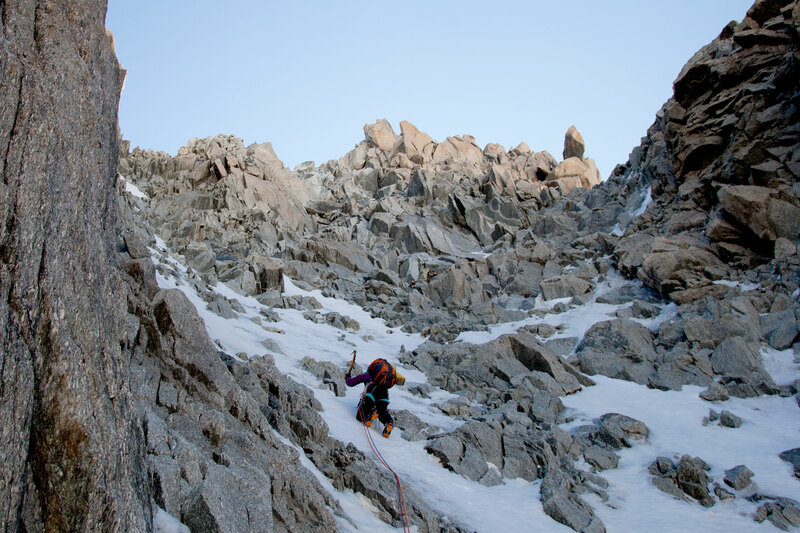 The first pitch to get in the gully proper proved a little problematic, as all the ice had melted out of what would have been a great 85 degree ice pitch, leaving some thin and loose mixed climbing instead – meaning an engaging breakfast for me. Once in the gully proper, a few hundred metres of Scottish 4 and then 2/3 led us virtually to the summit of Mont Blanc du Tacul. Hazel smashing her way up the final ice slopes. Findlay, a natural on the ice, climbed as gracefully as a new born horse on a frozen lake. 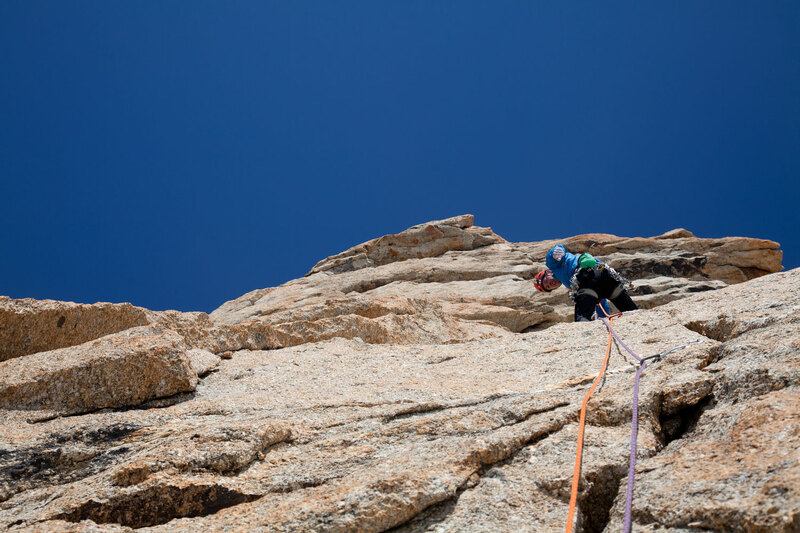 So, in short: a fun new route in the Mont Blanc Range (you don’t get those everyday!) with some tricky free climbing, and some nice ice romping. Getting the gully in better condition would probably mean freezing hands on the rock, so we think we struck a good compromise. Also it is entirely possible that the face has been climbed before, but we are 99% sure that the line we took would be new, as we followed fun features to give exciting technical free climbing, as opposed to the very easiest way. 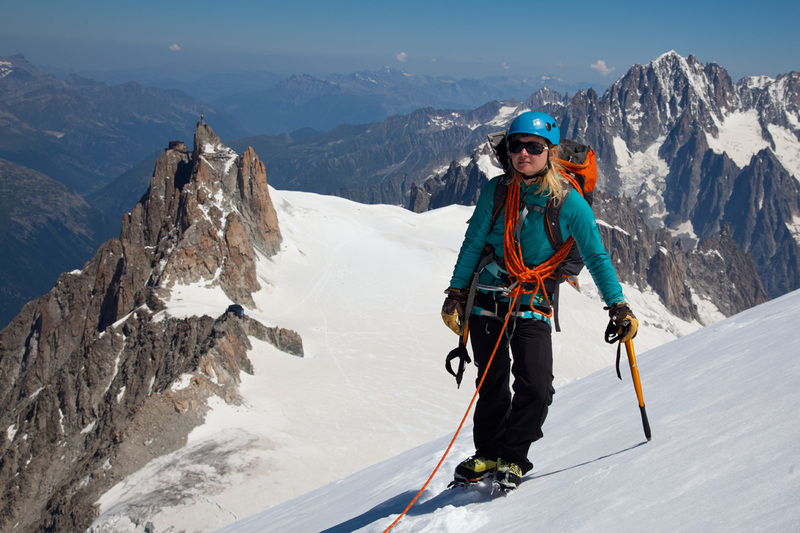 Hazel ‘altitude don’t bother me mate’ Findlay on the Mont Blanc du Tacul after topping out of the gully. Well that is immaculate – I’ve vaguely wondered if there was a route on this face for about 30 years – finally stirred myself to find out. And, lo!